for $615,000 with 4 bedrooms and 4 full baths, 1 half bath. This 2,641 square foot home was built in 2019 on a lot size of 125x171x126x170. Proposed construction by Pitman's Constuction in gated Rhoden Hill on lot 8. This classic, comfortable, open floor plan makes for easy living. 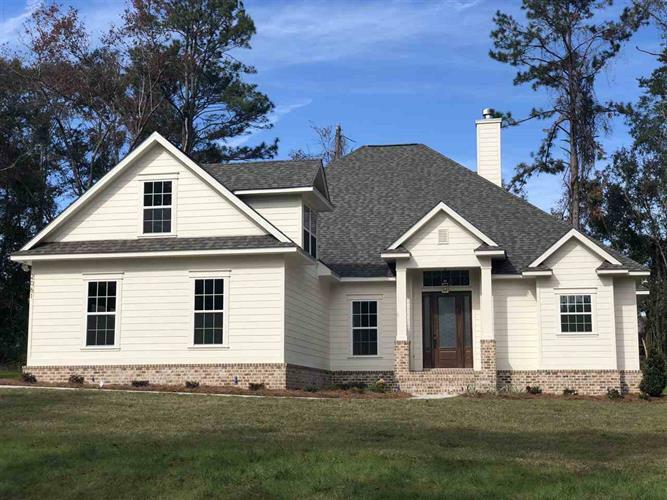 Custom cabinetry, granite counter tops, 10 & 12 ft ceilings, 4 beds with 4.5 baths, screened porch, fireplace, office, bonus room and much more! Lot 8 is nestled within more than 20 acres of conservation/recreation land. The location is more than desirable as it is 1 mile inside Maclay Road off of Meridian on Rhoden Cove Rd. From the moment you enter the private gated entry you will notice the attention to detail that has gone into this thoughtfully planned community. Just down the street is a boat launch giving you access to Lake Jackson. Pitman's Custom Construction prides itself in quality craftsmanship and customer service. Pitman's construction was recognized as a Parade of Home winner in 2016. Plans are subject to architectural review.